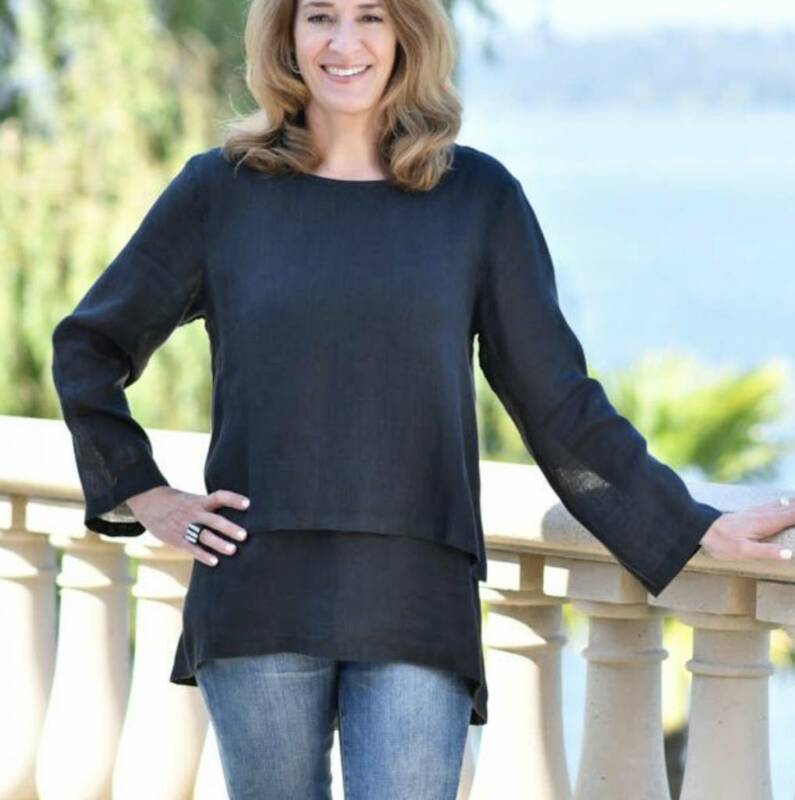 The Audrey Double Layer Linen Top is made of our lightweight 100% European Linen. The top is designed with a double layer to be both sheer and flowy, yet concealing the body in all the right places. The top hits below the waist and is longer in the back. Enjoy this beautiful 100% European linen sun dress all summer long. This flowy dress is designed to be unstructured, knee length, has side pockets and has a rope neckline that ties in a bow on the shoulder. 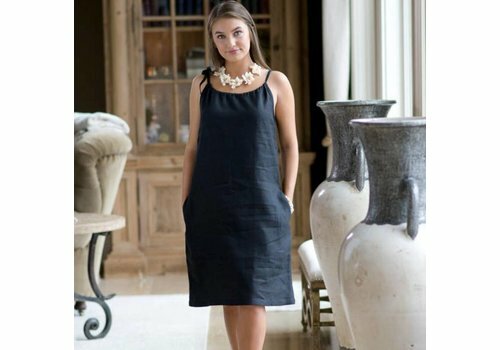 You will love this linen dress we call Jackie. With a cowl neck, 3/4 sleeve and knee length, this dress will take you from day to night. Made of 100% European linen, machine washable in cold water, hang dry and iron as desired. 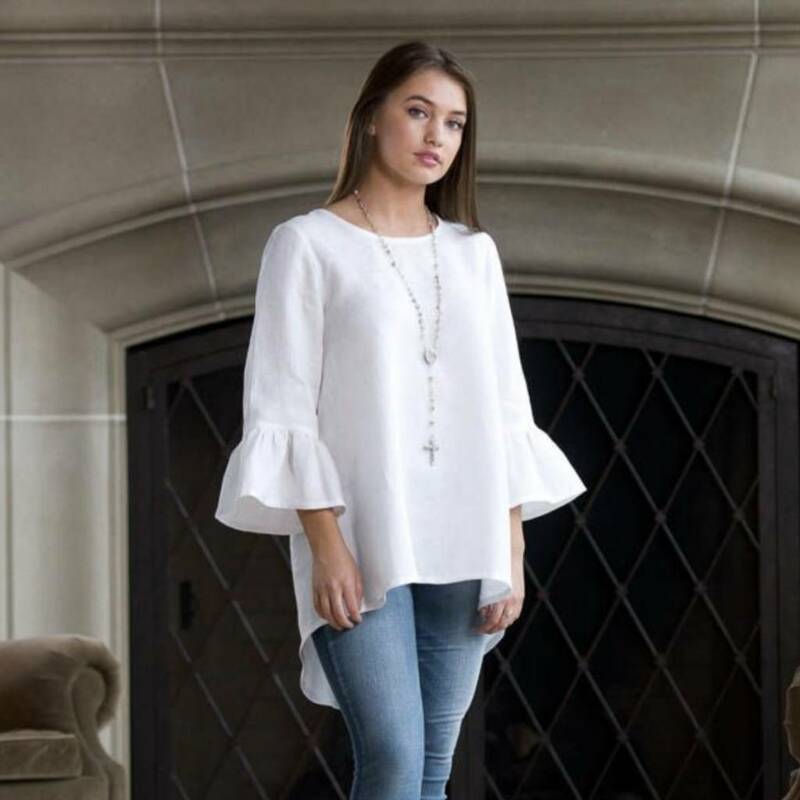 Made of 100% linen, the Felicity top is free-flowing and beautiful. The top has V-neck and bell sleeves. 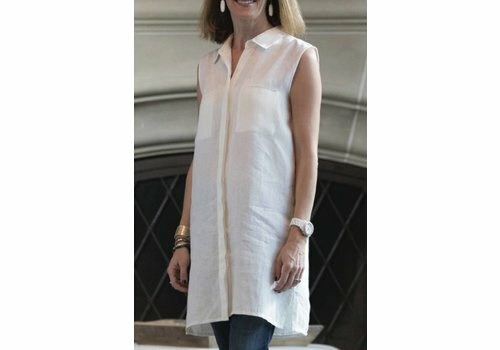 Enjoy this wonderful 100% linen top in every season. Linen keeps you warm in the winter and cool in the summer. 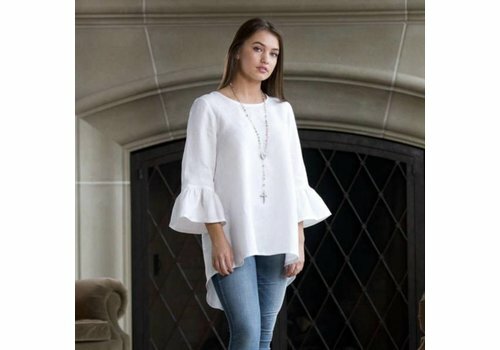 The "Bella" top is waist length in front and a bit longer in the back, has a 3/4 sleeve with a bell ruffle, and a crew neck. Enjoy this beautiful 100% European bathrobe all year long. 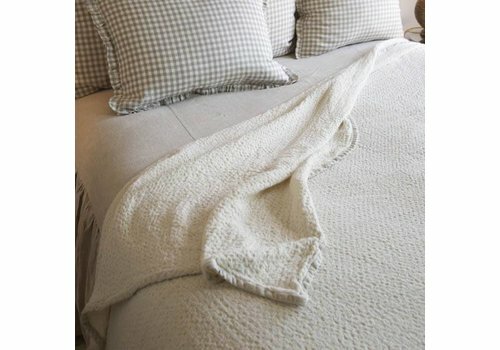 Linen will keep you warm in the winter and cool in the summer. This 100% European Emma Dress is wonderful. 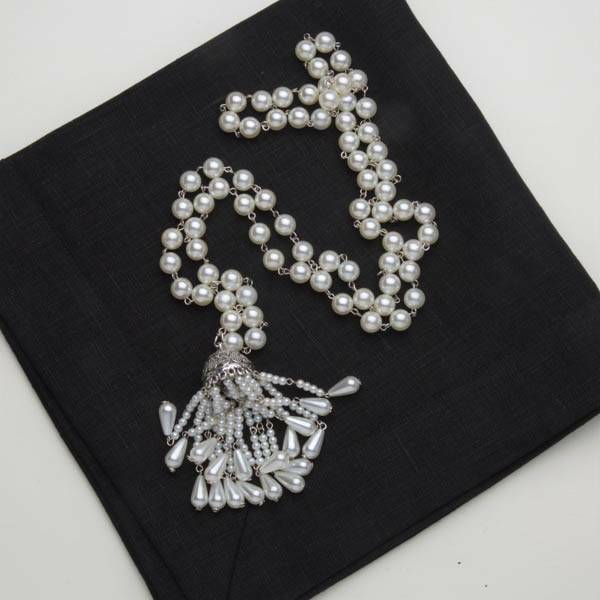 It is perfectly tailored and hangs amazing on all body types. 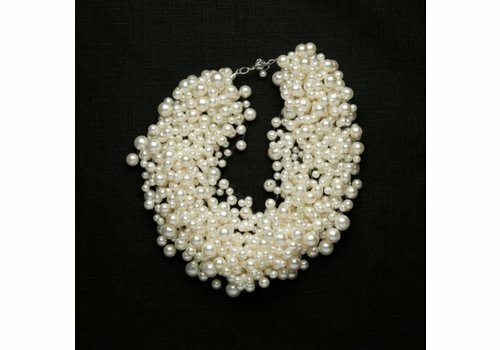 A cluster of pearls strung together to make the perfect necklace. One of our faves this season! 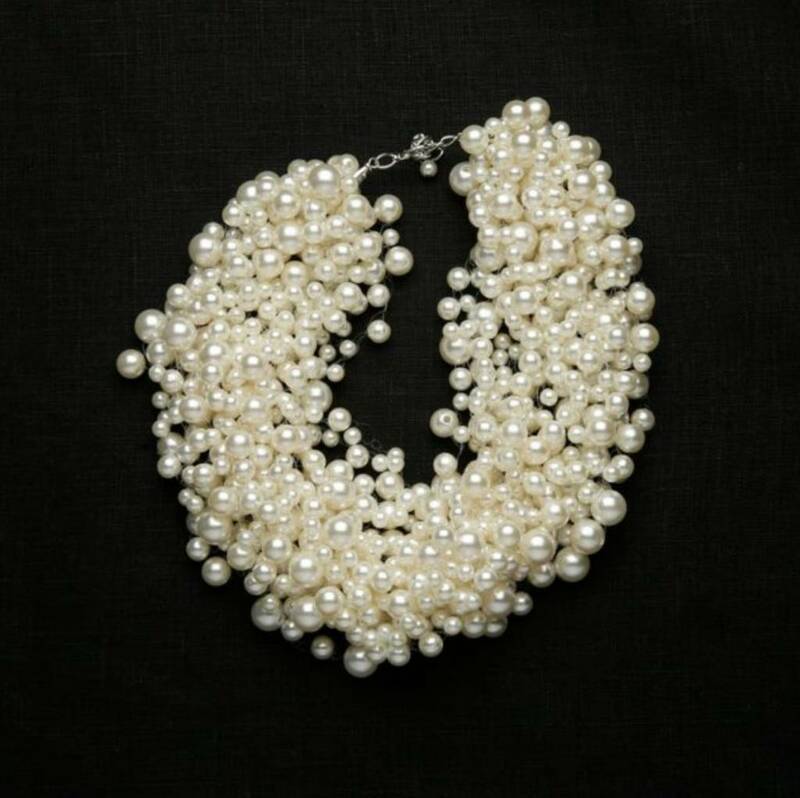 Necklace comes in white or ivory pearls. 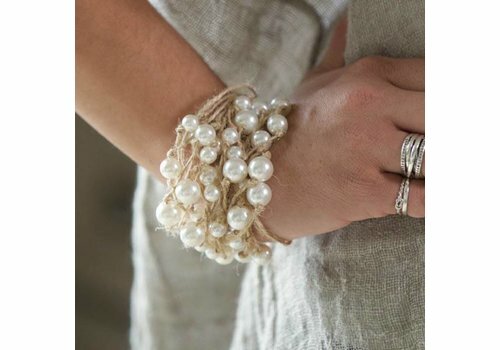 Enjoy this wonderful bracelet made from linen strands and faux pearls. 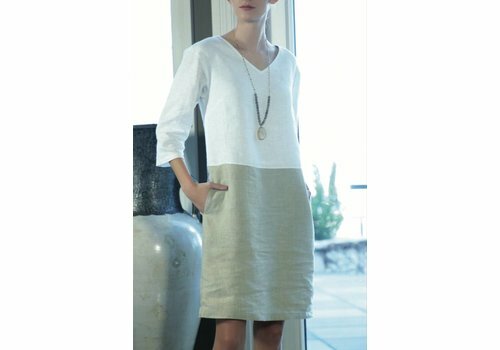 This 100% European Linen Ava Dress is wonderful. 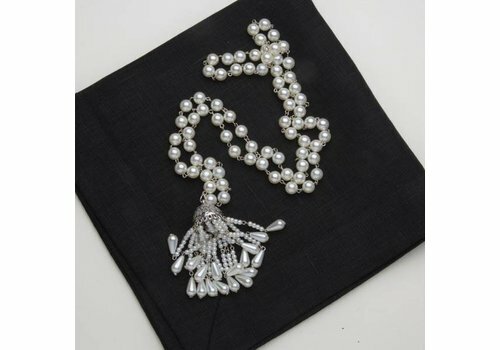 It is perfectly tailored and hangs amazing on all body types. 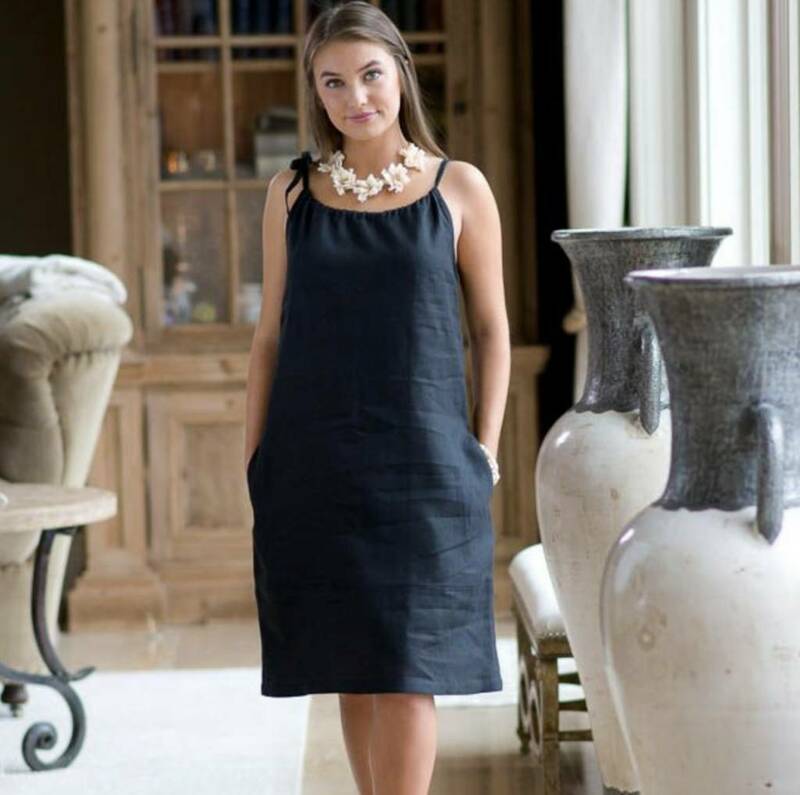 The Blakely 100% linen dress is the dress version of our best selling top, the Bella. 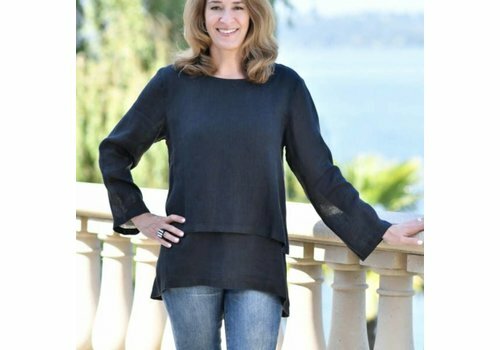 Blakely has a scoop neck, bell sleeves, side pockets, longer in back hemline and is designed to be free flowing. This flowy tunic is designed to be unstructured and can be worn alone or with pants or leggings. Open flowy blouse, robe or swimsuit cover-up. You name it, all simply elegant! This is one amazing scarf! 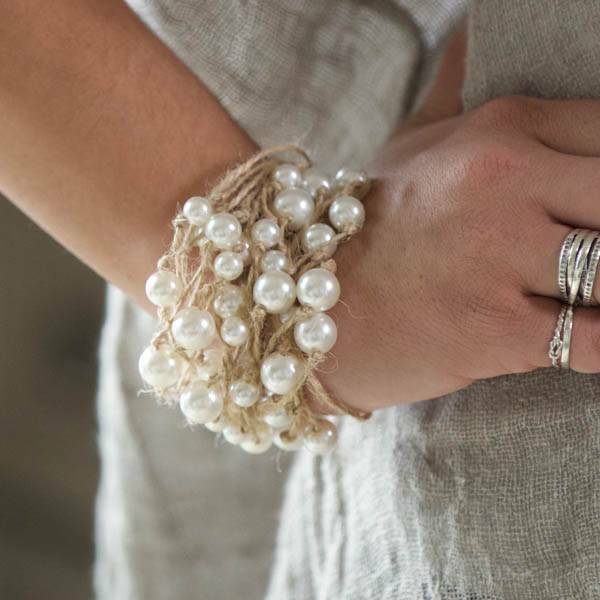 Made from our 100% European sheer linen. This scarf can be used as a wrap, scarf, and a sarong. 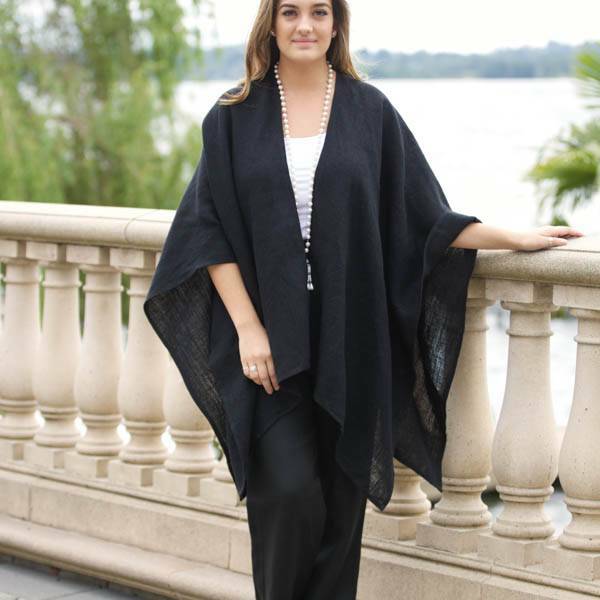 The Savannah pant is a wide leg, elastic waist pant that is just comfortable to wear. Waistline has a flat front with elastic back for a slimming look and side pockets.